← You Talk. Do They Listen? I recently had someone ask me if I believed that leaders could be created. I actually was very surprised. I thought everyone knew that leaders could be developed. Haha. Note to self: EVERYONE doesn’t know anything. Second note to self: Just because you believe something, that doesn’t mean it is a fact to be known by everyone. Third note to self: Never, never, never forget that your “facts” aren’t everyone’s facts. OK. I’m done with my lectures to myself. 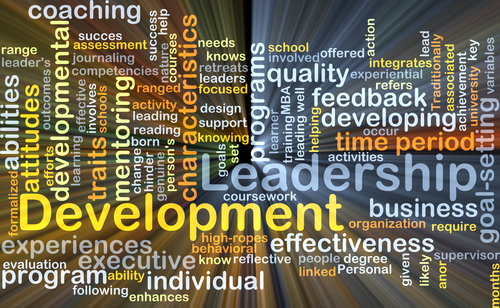 Let’s look at whether leaders can be developed. First of all, I’ve spent a reasonable amount of my life teaching Leadership at the graduate level, and I’ve developed and implemented Executive Development programs. I’ve WATCHED people grow leadership skills. Were they born with nascent skills that became more dominant? In other words, were they born leaders? Maybe. But they weren’t great leaders, and then when they were exposed to ideas, to new ways of thinking and interacting, when they practiced, they became better leaders. In fact, frequently, they began to see themselves as leaders and began to consciously behave as leaders. The Center for Creative Leadership, which does great research and training on leadership, recently asked C Suite leaders whether they believed that leaders are born or made. Fifty eight percent of those asked believe, like me, that leaders are made. Nineteen percent believe that they are born and twenty nine percent believe that it is both. If leaders are born, then there isn’t much we can do to grow leaders. However, if they are born with potential, then of course there are things that can be done to make them better leaders. Let’s start with what creates a leader. If a leader is born, then it is his/her personal characteristics and traits that makes him/her a leader. Presumably these folks would show leadership capabilities at a very young age. What is interesting about that, though, is that how children are judged as “leaders” is very different than how adults are judged as “leaders.” I once participated in an effort to develop “leaders” at the middle school level. We surveyed their teachers as to what characteristics demonstrated leadership and the results were eye-opening. Most teachers thought that the best leaders in the class were those who behaved themselves, were quiet and did their work. Imagine that being the criteria in an Executive Development program for a corporation. I think most people would agree that these personal characteristics are a part of what makes a leader. The dispute is just about how much these characteristics matter. The other things that contribute are leadership training and experiences. The same Center for Creative Leadership (CCL) Survey, asked both those who thought leaders were born and those who thought leaders were grown how much these other factors played in leadership development. Interestingly, both groups thought all played a role–they just varied in how much of a role. Those who believed in the ‘born’ method thought that traits were 31%, learning 28%, and experiences were 38% of the development of leaders. Those who believed in the ‘made’ method thought that traits were 20% , learning 34%, and experiences were 46% of the development of leaders. The bottom line–whether leaders are ‘born’ or are ‘made,’ your own self development can have quite an impact on your leadership capabilities. You can sit around and wait for your organization to “develop” you. You can mourn the fact that you aren’t “one of the chosen high potentials” in your organization. You can decide that you can’t afford an MBA or an Executive certificate. OR you can get to work on developing yourself. What do you know about leadership? Have you read about Situational Leadership? Have you read the Leadership Challenge? Do you know the theories of leadership? Do you understand power? Do you know when to use which kind of power? What role does charisma have in leadership? What experiences can you add to your resume that will grow your leadership abilities? This is the first of a series of posts focused on growing your leadership knowledge, practical knowledge, skills and confidence. Love this one!!! You should write a book about this!!!!!!! !